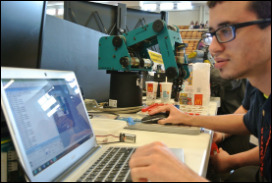 The National Robotics Challenge is different from other robotics competitions. Started in 1986, we are committed to open robotics and building the pipeline for our future innovators and engineers. ​Check out the Contest Manual to see how it works.